Training #1: Digital marketing overview. Learn the process of digital marketing. Training #2: Website creation. Learn how to create your own wordpress websites. Training #3: SEO. Learn how to rank your websites on page 1 of Google. Training #4: SEM. 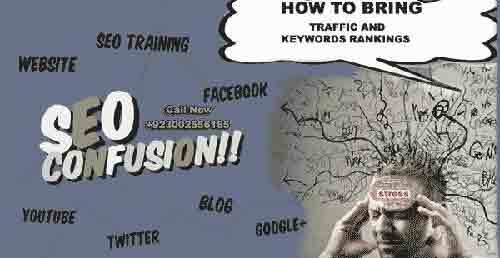 Learn how to rank profitable Google Adwords campaign. Training #5: SMM. Learn how to use social media marketing for your business growth. Training #6: Mobile Marketing. Learn App store optimization (ASO). Training #7: Lead Generation. Learn the art of lead generation and website conversion optimization. Training #8: Email Marketing. Learn how to make opt-in email marketing campaigns with automation. Training #9: Content Marketing. Learn how to create and market your content. Training #11: Reputation Management. Learn how to guard your website’s reputation online. Training #12: Ecommerce Marketing. Learn how to add products on your website and run Ecommerce store. Training #13: Display advertising. Learn how to create batter ads.